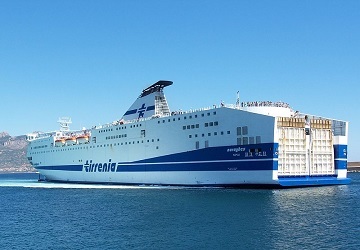 Tirrenia connects the Italian mainland to Sardinia, Sicily and the Tremiti islands and is currently one of the largest ferry operators in Europe. 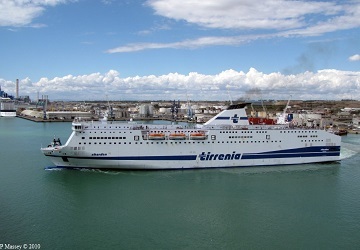 Tirrenia make a large number of crossings every year. With a fleet consisting mainly of new high speed super ferries you’ll reach your destination in ultimate comfort and in record time. 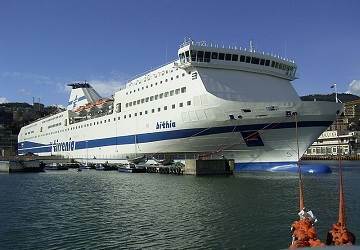 On an annual basis, Tirrenia makes around sixty thousand ferry crossings, travels four million miles, welcomes thirteen million passengers on board, and transports two million accompanying cars. 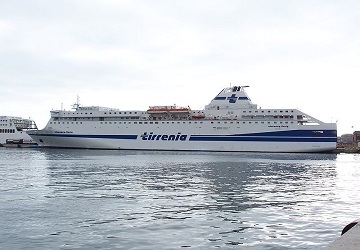 The entire Tirrenia Fleet has uniform cruise quality interior designing and a 3 to 4 years old average ship age, amongst the lowest in the Mediterranean. 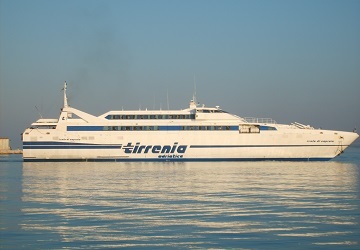 On the most popular routes, Tirrenia Ferries can carry up to 2,700 passengers and 900 cars, reaching speeds of up to 30 knots. 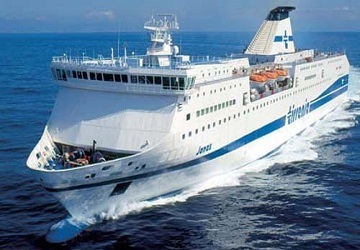 On board a Tirrenia ferry you will find all the usual amenities expected of one of the finest ferry companies in Europe. The Tirrenia crew are dedicated to satisfying all passenger requirements to make the crossing the most pleasant and relaxing experience possible. 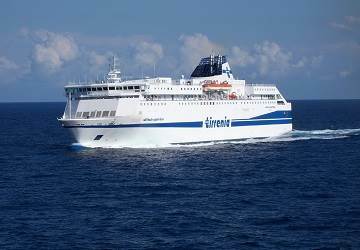 Directferries.com provides an impartial ferry comparison service allowing you to view numerous ferry company timetables and fares in one quick and easy search. 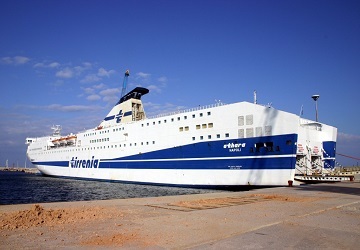 Compare Tirrenia timetables and prices now with all alternative ferry operators before booking your ferry ticket. A very clean, efficient, welcoming vessel. A seamless trip.